Based on the last 10 years of data in the boys short hurdles, we determined that there were two particularly all-time fast years in 2016 and 2017. At least among the nation's elite. In 2017, the country's top 10 hurdlers averaged times nearly two hundredths of a second faster than the mean of that data set (13.48 > 13.66). In 2018, hurdlers were roughly a hundredth of a second faster than the mean (13.52 > 13.66). Interestingly enough, however, while there was a dramatic drop in times among the fastest 10 athletes in the country in those years, the net average of those in the top 500 remained steady in the middle. Oddly enough, the year with the slowest top 10 average actually had the most depth overall, averaging the fastest times among the nation's 500 best hurdlers. 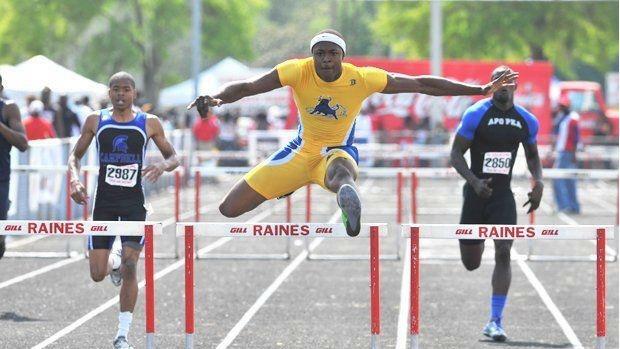 As we've seen over the last 10 years, the fastest hurdlers come from states along the rim of the United States. National No. 1 athletes have come from states that border coastlines: Texas (3), California (2), Florida (2), North Carolina (2), Georgia (1). Below, check out the data set from our analysis. In the slideshow, you can see the top 500 times in each season dating back to 2015.